Geosynthetics are commonly used to overcome the inherently low tensile strength of soils. This then allows the use of on-site soils in many applications to be incorporated into the structure without the need to import costly replacement materials. an improvement in embankment stability on soft soils by providing a tensile element across potential deep seated failure planes. an increase in the apparent shear strength of a soil allowing slopes to be constructed at much steeper angles of repose than the natural soil could adopt without the inclusion of the geosynthetic. an increase in the shear strength of a soil and in combination with a facing element such as a segmental block wall or gabion structure, to allow retaining structures to be built to significant wall heights. 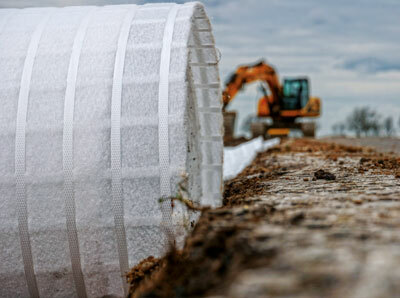 The use of a well-designed geosynthetic product in a myriad of potential engineering applications will allow a project to be delivered within budget and time schedules. 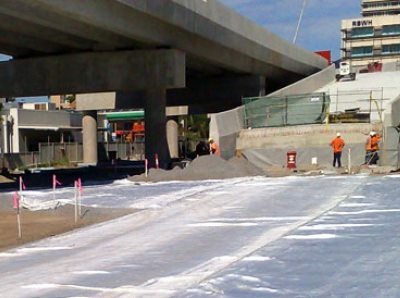 Other reinforcement and stabilization applications in which geosynthetics have also proven to be very effective include roads and railroads, large area stabilization and natural slope reinforcement. To be effective, the geosynthetic reinforcement must intersect potential failure surfaces in the soil mass. Strains in the soil mass generate strains in the reinforcements, which in turn, generate tensile loads in the reinforcements. These tensile loads act to restrict soil movements and thus impart additional shear strength. This results in the composite soil/reinforcement system having significantly greater shear strength than the soil mass alone. 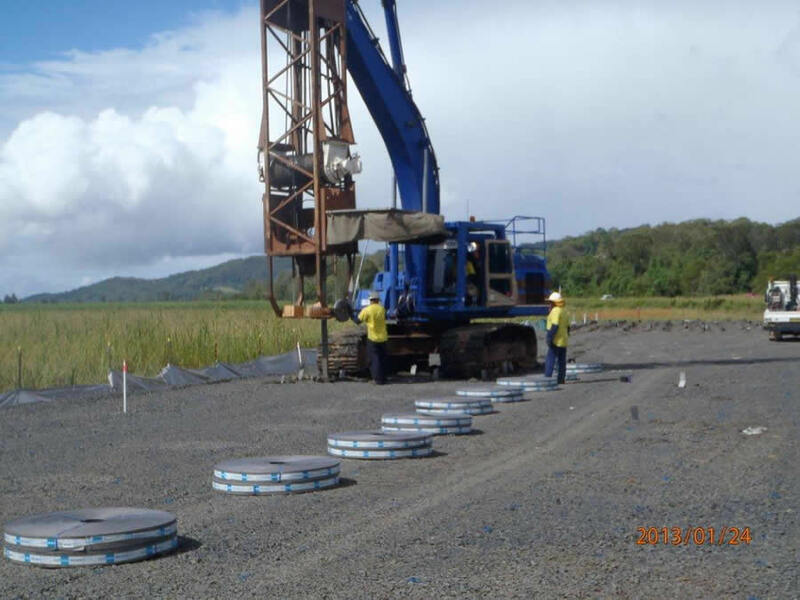 Geogrids to assist in the stabilisation of subgrade soils and retaining structures –Secugrid® and ACEGrid®.